So recently I did something remarkably brave in my books.....I risked wearing a maxi skirt despite being somewhat vertically challenged! 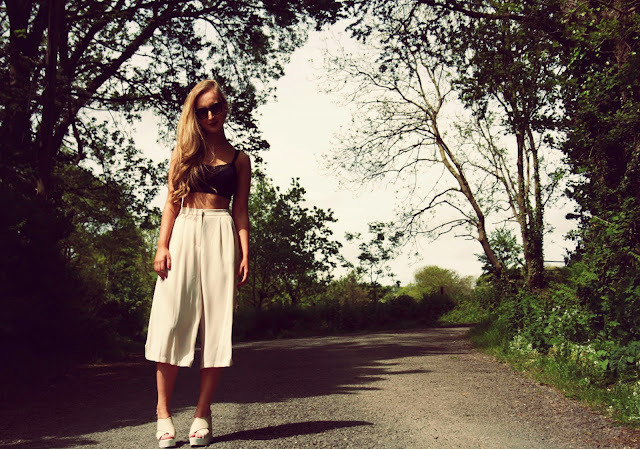 I've loved maxi skirts for ages and purchased one from Boohoo last year but never wore it. I always thought you had to be a 5'9 Glamazonian to pull one off, or risk looking Amish. I think if you're on the shorter side, it's better to wear a maxi skirt on your waist rather than on your hips, to elongate your legs and make you appear taller. I particularly love this one from Boohoo for €11 because it's really comfortable to wear and the contrasting waistband is quite flattering. I have it in grey, but it comes in a variety of colours :) Have a look here. I don't claim to be particularly fashionable at all, but here are three ways I've styled mine over the past few weeks.